You’ve planned your landscape, spent months choosing your plantings, and something doesn’t take. What to do? A bare area in a garden space can be fixed by dropping in a pot of blooms, fruits or vegetables. 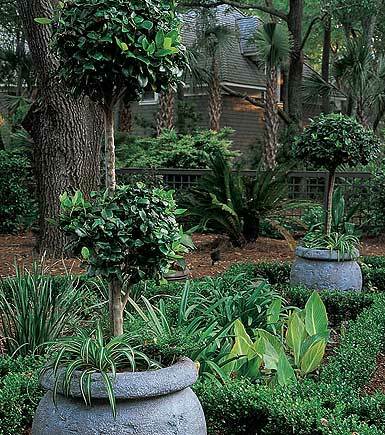 Pots allow for a more fluid and adaptable gardenspace, making it easy to change to seasonal needs and aesthetic choices. You can place potted plants in places where the soil is unsuitable for a particular variety, and if you have a small terrace or balcony, you can add scale with potted climbers such clematis. The options are endless. To keep your potted plants healthy, even if they don’t need replanting, remember to replensih the soil each year. Remove 2-4 inches of soil and avoid harming fragile feeder roots. Refill with fresh soil mixed with slow release fertilizer. As we approach mid-August, it’s time to start thinking about whether you want a Fall Veggie garden. If you’ve recently reduced a lawn area, a veggie garden is the perfect replacement that will make your landscape more productive. 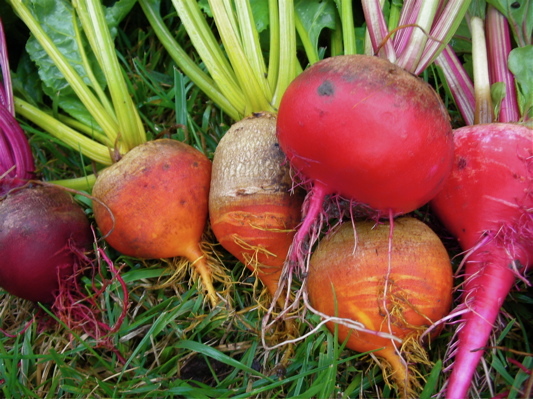 The following crops have a 60-day maturity date, so you have until mid-August to plant: Root veggies include Carrots, Leeks, and Turnips and Leafy crops include Cabbages, Cauliflower and Collards. If you miss your mid-August deadline, go ahead and think about veggies that have a 30-day maturity date, which include Chives, Bunching Onions and Radishes while leafy veggies include Broccoli, Spinich, Mustard and Leaf Lettuces. If you’re space challenged, always remember you can plant a couple of containers of veggies. You’ll love your fall container rewards! 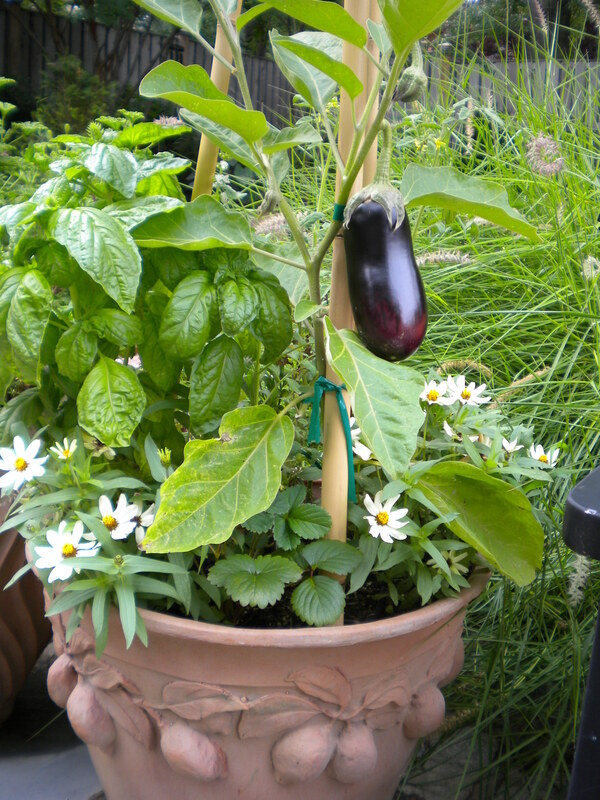 Growing vegetables (and herbs) in pots or containers can be the ideal solution for those with limited space. However, containers can be a great idea for everyone, including those with an abundance of in-ground garden space. There’s so much flexibility in growing veggies in pots! You can move them around to capture the sunlight, or hide them in the shade when it gets too warm. A sudden change of weather? No worries! Just move your containers inside. You can also brighten up your patio or deck with containers of multi-colored vegetable plants and herbs, and or create a rooftop garden and share your produce with family and friends. The biggest “pro?” Nothing compares to the taste of fresh vegetables and herbs — at my house we’re looking for new Eggplant recipes!